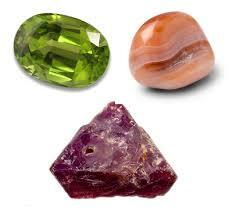 Birthstones refer to gems that are associated with a person’s birth month. Each of the stone’s has a specific meaning and unique significance, similar to astrological signs. Nowadays, birthstones are common items and many people use the stones in jewelry, such as rings, necklaces, rings, and bracelets. Of course, birthstones are not only aspects of modern society but have been evident in society since ancient times. 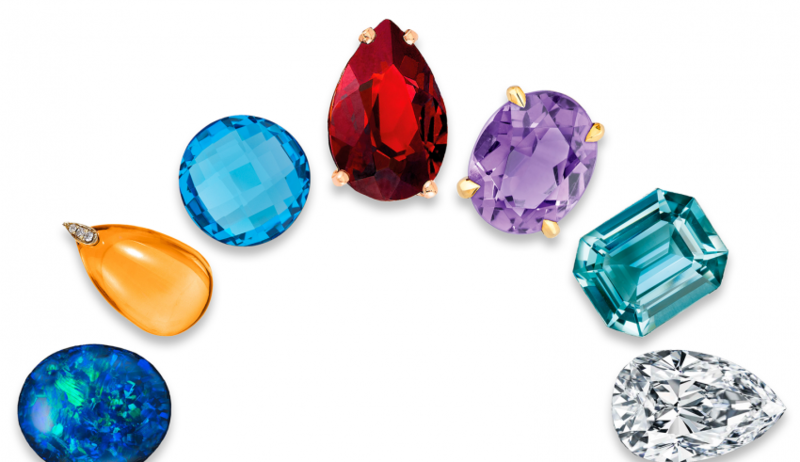 This article will provide information on the different birthstones and their meanings. According to Christian scholars from the 5th century, there was a strong relationship between the 12 gems of the year, the 12 stones in Aaron’s breastplate, and the 12 signs of the zodiac. The scholars believed that each stone was aligned to a specific month and the person would receive benefits for wearing the stone during that period. What Is The Meaning Of The Birthstone? The birthstone for people born in January is the garnet. The garnet is dark red in color and it was considered the most popular stone in the late Roman Empire. The term ‘garnet’ is derived from the Latin word ‘granatus’ meaning seedlike, and this was a reference to pomegranate seeds. A further characteristic of the garnet is that they have a high refractive index giving wearers the impression that the stone emits light. The meaning of the garnet is protection and it is often used as a gift to inform your loved one that you want them to be safe. The birthstone for people born in February is the amethyst. This gemstone is violet or purple in color and has a meaning of wisdom. Amethysts are members of the quartz gemstone family and are highly valued for the violet coloring. The term ‘amethyst’ is derived from the Grecian word ‘amethystos’ meaning ‘not drunken’. The translation is based on the myth of Greek God Dionysus and his meeting with the young female Amethystos. Dionysus was the God of drunken revelry and he was intent on punishing Amethystos for his rejection by others. When the female was turned into a statue by Artemis, Dionysus was in awe of the innocent statue and poured his cup of wine onto it dying it purple. The gemstone aquamarine is the birthstone for individuals born in March. 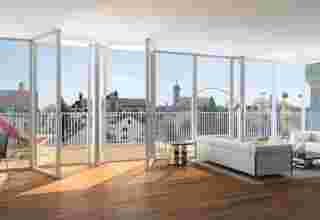 The stone is typically blue in color, but it is also available as a clear stone. As part of the beryl gemstone family, the aquamarine is available in various shades of blue with the particular shade being a result of iron deposits found in the stone itself. Despite being less famous than the other birthstones, this stone is considered one of the more valuable options as they are found less frequently in nature. The meaning of the gemstone is serenity and many people use the aquamarine to invoke calm in their lives. The birthstone for April is the second most popular type of gemstone family, the quartz. Similar to the beryl family featuring aquamarines, the quartz stone is available in different colors based on the stone’s impurities; however, the gemstone’s natural color is clear. Quartz is found across the globe in all types of rock formations and typically has a twin crystal on their crystal lattice – a phenomenon known as ‘twinning’. 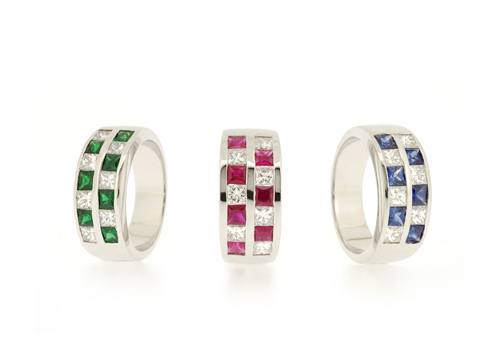 The meaning of this birthstone is strength because it is one of the strongest minerals on earth. One of the most unique gemstones on earth is the green emerald and this is the birthstone for May. The emerald is unique because the inner lattice is vulnerable to fracturing, but the surface is resistant to damage. The term ’emerald’ is derived from Latin words ‘esmaraldus’ and ‘esmaralda’, both roughly translating to green gem. The meaning of this stone is hope and it is often presented to people who are beginning new chapters in their lives.